Eighteen months ago, when Dustin Poitras teamed up with local baker Peter Surridge to sell bagels wholesale, he stayed local. Besides making weekly appearances at the Barre Farmers Market, Poitras delivered his New York-style rounds to Barre's Central Market, Trow Hill Grocery and Espresso Bueno, among others. Before long, Poitras and Surridge — a New England Culinary Institute grad — were baking 60 to 70 dozen bagels a week in more than 15 flavors. When Maria's Bagels opens at 162 North Main Street in Barre during the week of October 3 (the date depends on equipment arrival), the shop will offer those bagels in breakfast sandwiches or slathered with sweet and savory Vermont cream cheeses. Drip coffee will come from Vermont Coffee Company and Speeder & Earl's. The shop will also serve lunch sandwiches and two or three housemade, seasonal soups. They'll start with meats from McKenzie Country Classics and other suppliers, but Poitras plans to start roasting deli meats and curing lox in-house once the shop settles into business. Maria's bagels differ from many other boiled rounds in that Poitras and Surridge not only roll the bagels, but also blend the toppings into the batter. 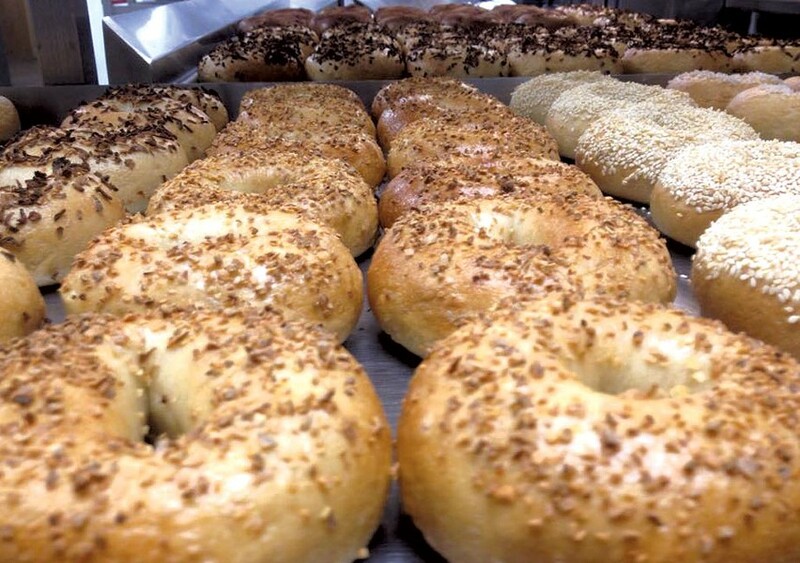 In addition to standard flavors such as everything, poppy seed, sesame and cinnamon raisin, Maria's offers rarer choices such as blueberry and seasonal specials — look for pumpkin bagels soon. Though Poitras plans to continue growing the wholesale business, the Barre native says his plan revolved around a retail shop from the beginning. "My dream was always the storefront," he says, adding that he's wanted to bring a business to Main Street for years. "That was the whole purpose of starting this venture." Downtown Barre — which has been plagued with empty storefronts for decades — seems to be "filling up," Poitras notes. "High hopes." The original print version of this article was headlined "Ave Maria's"